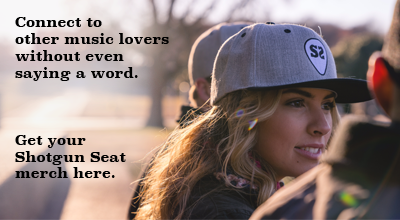 One thing everyone at The Shotgun Seat has in common is a love for music. Another is the desire to build something amazing. We’re a new kind of media company focused on building a community of country music lovers, from those that dig for songwriter demos to those that just want a soundtrack to popping a beer and grilling out on the weekends. We are the foremost online discovery tool for up and coming artists, and we’re dedicated to being the go-to source for new country. We’re looking for a great fit – someone who gets our mission and believes in the same things we do – and who has a desire to make a difference. If you’re someone who wants to build their career rather than being promoted into it, if it frustrates you when great acts don’t get the recognition they deserve, if you’re someone who likes to take control and collaborate with smart, talented, driven people: you’ll like working with us. We’re a startup looking for part-time involvement in each of the following roles. We can’t pay you yet – our founder will make less than you do – but we can make sure that the work you’re doing is accomplishing your goals as well as ours, with the opportunity for some pretty cool perks along the way. Topics our writers cover include trend and thought pieces, album and single reviews, concert reviews, and artist interviews. You’ll coordinate with our Managing Editor to take on assignments or pitch topics/artists you want to write about. While no formal writing experience is required, a sense of journalistic guidelines and basic grammar/syntax is a must. To apply, please send your resume, a writing sample, and a link to one of your favorite songs to jointheteam@theshotgunseat.com.